Well it isn’t about ‘joining’. 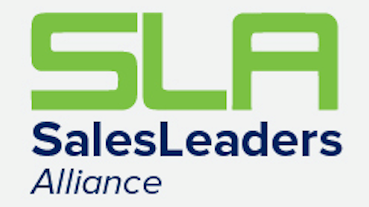 There is an application process and the member must be accepted by the Sales Leadership Alliance. We are very selective in who will be accepted into the group. The dynamic of the group and its members are paramount to the success of each member and therefore the overall success of the group. Your group will be based on the best sales team leaders in the area to share and learn together. They are from all types of businesses so the brainstorming is from different angles. There are no 2 people from the same businesses (competitors) in the group for obvious reasons. If I want to join a group and my competitor is in there, can I still join? If a competitor is in the group, you will not be allowed to join that group. You will however, have an opportunity to apply for another group as one becomes available. Yes. The cost is for the training, insight and facilitation of your group. It is for the individual coaching by a highly regarded and vetted sales leader expert, the power of a carefully selected peer leadership and think tank. Members typically rotate hosting the monthly meetings. The host for that month will have the meeting at their business location preferably a boardroom or a separate, private area. This often includes a tour and this is also the time that the host is doing their presentation to the group. The host is responsible for supplying breakfast of their choosing, as well as Internet access when possible. If the group prefers, there can be one location they use monthly. How long will I be able to be in my group? The groups will be on going. The members will periodically change and new members will be brought in, upon approval. Your stay in the group is based on your continual learning and participation. It is also of course based on adhering to the rules of the group. If you feel you are not getting what you need from the group any longer, you are of course can leave. When I present to my group, what do I do? Your presentation should start with a brief history and overall view of the organization including size, ownership, products or services, strategic initiatives, goals and of course your team, team members, goals individual and group. Typically they are 30-45 minutes. If I am to discuss private information, how do I know it is confidential? There are rules for participation and joining SLA. One of the most important is confidentiality. Additionally direct competitors cannot be in the same group for obvious reasons. There is a confidentiality pledge and standards agreement that is laid out and signed before any group participation, as a member will be allowed. What exactly do I do when I host a meeting? Prior to the meeting, the host will coordinate with the group Chair confirm the number of attendees, both members and guests. This will help with food, seating and handout requirements. The host then personally welcomes arriving members, speaker (if applic.) and any guests. The room could be a company boardroom or training room or in a hotel/golf club/private club or any civic organization which offers quality surroundings. The room must be private, and needs to be large enough for all of the members, chair and perhaps some guests. Whenever possible, the room should be set up in a u-shape and we will need an easel and flip-chart paper. Internet access is welcomed and appreciated. Ice water and glasses (or bottled water) should be set up at the table and available for each person throughout the day. Breakfast – Juice, coffee, tea. Breakfast items could include bagels, pastries, muffins, fruit, hard-boiled eggs, yogurt and cereal bars etc. – depending on what you like and how much you want to spend. Lunch will be provided by the facilitator of your group. How can I talk to someone to find out more information? Your facilitator, Greta Schulz is available to speak to and discuss the opportunity of membership in the group. Everyone is NOT a fit for this group. It will be important that you both agree on what it takes to be successful and be accepted into the group. Her office number is: 561-745-8892.